Sports Massage is ideal for both athletes and individuals undertaking any type of physical sport or regular activity. It is a specialised and corrective treatment designed to repair muscular damage to enhance athletic and sporting performance. Being a targeted massage, it focuses on and around the main area of pain or injury. It is an excellent way to promote muscular health and quickly return muscles to full working order. Sports Massage is an excellent choice for those wishing to achieve optimal sporting results and continue training or working out in physical comfort. It is an oil-based massage so clients will need to remove either the upper or lower body depending on the area needed to be treated. For modesty and comfort you will be covered by a sheet and will be required to communicate with the therapist at points during the massage to ensure an optimal pressure and treatment is provided. Sports Massage is ideal for anyone recovering from or experiencing injury and discomfort when training or exercising. It is a highly recommeded follow up treatment for post chiropractor and physio clients. This deep tissue and pain relieving massage will help ease away those tense aching muscles, often found in the neck and shoulders, and place the body in a state of recovery and therapeutic relaxation. Through the use of specialised soft-tissue techniques deep tissue massage can significantly improve the removal of lactic acid and unwanted toxins that have built up in the body; promote blood circulation and improve mobility with reduced tension and increased physical comfort. A perfect choice for anyone with muscle tightness, soreness or tenderness. Traditionally, deep tissue massage is conducted as a full body massage in order to reach and remedy aching muscles throughout the body, and differs from a Sports Massage in that it is used to maintain the functioning of soft tissue rather than focusing on one area in response to injury. That said, deep tissue massage can be turned into a more focused massage by concentrating on just the upper or lower body and is an excellent way to rid the body of ongoing discomfort and tension in specific areas. Deep tissue massage can be received and beneficial to individuals in every walk of life. By easing and restoring muscular health, both daily and sporting activities become easier, less painful and more enjoyable, allowing us to continue living an active and pain free life. So many of us hold so much tension in our neck and shoulder girdle that we learn to live with, and often accept the pain it creates. Recognising this, we have designed a specialised Seated Massage that allows the therapist to most effectively access problem points and release the daily tension we carry around. A seated massage is conducted in a specialised seated massage chair designed to release pressure on your lower back, allowing you to fully relax during the session. This massage requires the use of a massage medium such as an oil or cream and can be adapted to use both a lighter or firmer touch as required. You will be required to remove upper clothing, which can be done easily once on the chair, and remain seated against the chair the whole session. The therapist will provide a 30 minute massage focusing predominantly on the upper back, shoulders and neck. The head and arms can be included as required, and the session will focus on relaxing the muscles, smoothing away knots and reviving tired muscles of the upper body. This massage massively benefits anyone who has a desk bound job; has the job of carrying children, lifting or suffers from naturally tense or raised shoulders. Let’s face it… You deserve to be pampered! Relaxing Massage is the traditional Swedish Massage in which you will receive a deeply soothing and relaxing massage from head to toe. Relaxing massage is an oil based treatment, that not only nourishes your skin but can have the most wonderful effect on your emotional and physical wellbeing, whilst promoting the removal of bodily stress and unwanted toxins. The therapist will allow you to undress to your underwear and cover yourself with the fresh sheet. The massage will be conducted with oils starting at the feet and ending with a delightful facial massage. At the end of the massage, you will be given some time to simply lay and relax, before you are again given the privacy to redress. Relaxing massage is ideal for anyone who wants to do exactly that…feel pampered and fully relax! It is perfect for the end of a long week, a special ocassion or just a bit of you time. So many of us forget to give our bodies the TLC it needs. Relaxing massage has the remedy for that. This ancient Ayurveda Massage is the ultimate mental relaxer. It is extremely versatile and can be conducted both with the client sitting down or laying, with or without the use of oils, as preferred. 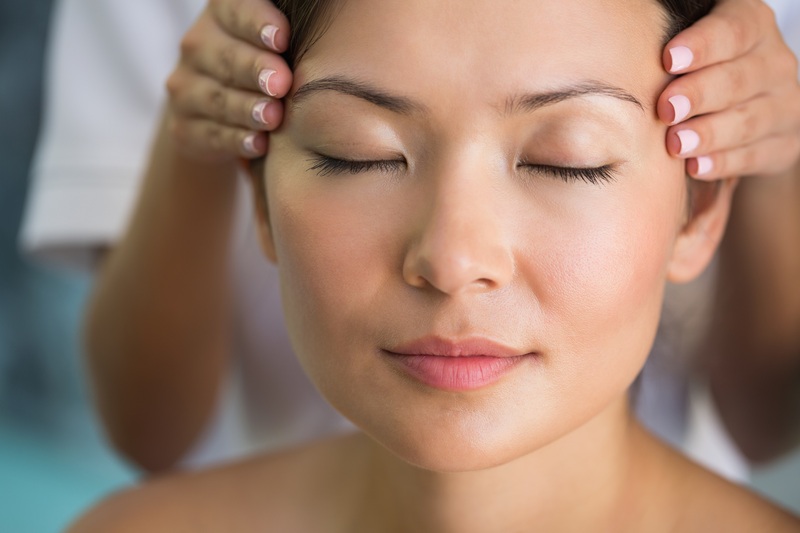 Often mistaken as just a massage to the skull, the Indian Head Massage consists of a head, neck, shoulder and face massage, designed to promote overall well-being through the stimulation of upper Marma points and Chakras. Not only is it an ideal head clearer and de-stressor in its own right, frequent Indian Head Massages have been known to greatly improve the health of hair but also stimulate hair growth! For the seated IHM, you will receive an oil-free specialised head massage, while the oil-based IHM is conducted laying down, requiring the removal of the upper body clothing only. Both use a range of soothing and stimulating massage techniques to smooth away the stresses and strains that build up in and collect in the skull, leaving the client relaxed, focused and mentally alert. Indian Head Massage is a versatile treatment that is an ideal way to de-stress and reduce the physical and mental stress held in the head, neck and shoulders. Clients will not be required to remove any clothing and will remain in a seated. It is the ideal massage for anyone under stress or pressure, and especially for those that suffer from headaches, neck pain or migraines. It is an excellent way to clear brain fog, and allow for clear and refreshed thinking. Reflexology is the use of massage and pressure points along the feet and hands to promote wellbeing and pain reduction throughout the body. It is extremely effective in optimising the body’s ability to cope with, prevent and heal various ailments, including a vast number of acute and chronic illnesses. The use of reflexology dates back to the ancient civilisation in Egypt, Tibet and South America and is an excellent alternative therapy for promoting both physical and mental wellbeing. Reflexology is a holistic and deeply relaxing treatment that has the ability to restore balance within the body. Through improved ‘Health, Harmony and Homeostasis,’ reflexology can significantly help us prevent illness, achieve self-healing and maintain internal balance. Reflexology is, in its own right, is an outstanding stress reliever, detoxifier and neutron pathway stimulant. Ongoing reflexology sessions can strengthen the immune system and allow for rebalance of the body, thus promoting self-healing and wellbeing. Reflexology has been shown to have a profound effect on a range of chronic conditions including type 2 diabetes, and overall psychological wellbeing. Clients will be treated laying down on a massage couch and will be required to remove their socks and shoes, rolling up any clothing to the knees. For hygiene, all feet will be cleaned by the therapist prior to the massage, who will then use a range of stokes and pressure points around the feet, ankles and lower legs. The therapist will end each session by carefully replacing the socks over the feet. A reflexology session uses a small amount of natural oil. It is perfect for all ages and particularly popular with those who prefer the less intimate touch of the feet and hands; for those who are on their feet all day or equally those who are faced with health issues. It is a highly effective treatment for a range of psychological and physical ailments.